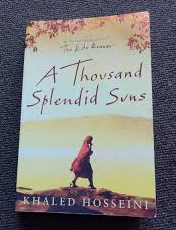 "Every street of Kabul is enthralling to the eyeThrough the bazaars, caravans of Egypt passOne could not count the moons that shimmer on her roofsAnd the thousand splendid suns that hide behind her walls"
This book is basically possesses story of two female character with individual stories. The author has done a commendable task of intervening it in such a natural way that for a moment the readers could actually visualize the proceedings of the story in front of them. The novel in itself is a journey on a roller coaster of emotions with so many unexpected twists and turns that the readers are always in anticipation what would happen next. The author’s main purpose is to bring the deplorable condition of people, especially women of Afghanistan who since their birth are subjugated by the male oriented malicious society. This novel talks about the time when there was an all kind war in Afghanistan for power, position and control between different groups. The impact of war on the citizens who were in unvarying fear of losing their life at any instance because of frequent uncontrolled attack on the civilians. The inspiration of writing this novel striked Khaled while he completed his first book. After spending a long time in America, when he returned Kabul, and was revived of the memories of the burqa-clad women who were silently begging for a change. When he conversed with a few of them, he was able to comprehence their untold miseries. While writing the script, he left no stone unturned and did his best to expose the harsh reality of the pathetic situation of women in the society. While exploring the people of Kabul, Khaled also considered the contemptible situation the children of there were facing. According to one of the Khaled’s one of the interviews, he confessed that his second novel was more challenging as it deeply studied the constituents of the orthodox society which was being passed generation to generation. The thoughts, mind set of the people which possessed the very same notion since an aeon. Some of the revolutionaries were in a way famished for the upliftment of the society but goodness always come with villainy. They are just in a way two sides of the coin. 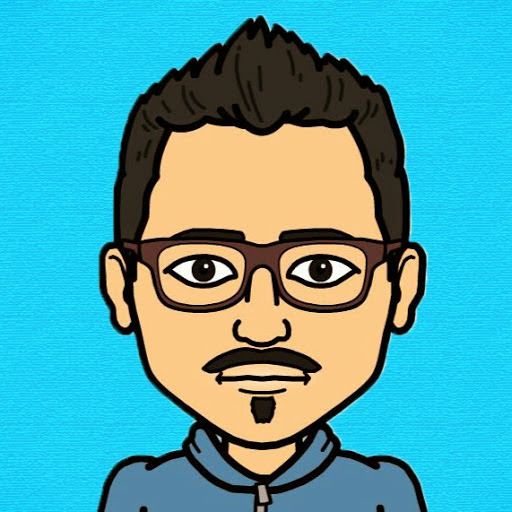 Some conventional person exist to criticize and are unwilling to bring a change. In my view, the author has done a great contribution in the upliftment of the women in the society to bring in awareness. As quoted by Buddha, “Thousands of candles can be lit by a single candle”. He is the one taking an initiative, taking the first step towards a just society by his weapon of writing. The readers are forced to think beyond their mind limits. This book released on 22 May, 2007 within its one week more than a million copies was successfully sold. It was indeed a great success. It became best sellers on the New York charts. In 2003 Khaled came up with his book ‘The Kite Runner’ which was basically a male dominating story exhibiting the bond between two illegitimate brothers, fear and loyalty. The book was published by RIVEKHEAD BOOKS, a member of Penguin Group (USA) Inc. New York. I rate this book with four out of five stars. It is another exceptional book by Hosseini. It’ll rip out your heart , have you crying buckets and buckets of tears while marveling at the triumph of the human spirit through severe and virtually unimaginable adversity as well as pure hell. The writing is absolutely beautiful. The pictures he paints with his words are so vivid that everything from the fun everyday life to the squalor that war brings to the ordinary person just flashes before your eyes like a movie. The story sets in a "war zone" Afghanistan which is Hosseini does his good job provides me with a glimpse of the history of Afghanistan. Although I feel the story moves slowly in the 1st and 2nd part of the book. The story is really flowing for me when Mariam and Laila lives become intertwined. From this point this book simply unputdownable. This novel describes the real friendship about two women named Laila and Marium. The book is divided into four parts describing Marium in the first, Laila in the second and fourth and their unmatchable in the fourth and the final part. The story begins with the introduction of a five year old illegitimate girl child named Marium decovering new words. She lives with her mother in a kolba on the outskirts of Herat and her father Jalil pays him a visit every Thursday. Jalil is a wealthy businessman who owns a cinema and lives in the town with three wives and nine children. Mariam being his illegitimate daughter, she cannot live with them. On her fifteenth birthday, Mariam wishes to see Pinocchio at his father’s movie theater. But that day he does not show up.marium wait for all day but in the end losing all her hopes, she hikes into town and goes to his house. Her mother had warned her that she would die if Marium left but goes on disobeying her mother. When Jalil refuses to see her, she has no option left and finally ends up sleeping on the street. In the morning, Mariam returns home and finds that her mother had stood by her words and committed suicide out of fear that her daughter has deserted her. Mariam is then unwillingly taken to live in her father's house as there was no one left to take care of her. Jalil somehow within a week arranges for her to be married to Rasheed, a shoemaker from Kabul who is thirty years her senior just to get rid of her without giving a thought about the consequences. In Kabul, Mariam in early days is treated very satisfactorily and becomes pregnant seven successive times, but is never able to carry a child to term, and Rasheed gradually becomes more abusive as he always wanted a male child since the death of his son from his first wife. Part Two begins with the introduction of Laila, a girl growing up in Kabul and her close knit friendship with Tariq, a boy living in her neighborhood. They as the time passes by grow more close to each other and develop a romantic relationship despite being aware of the social boundaries between men and women in Afghan society. War arrives in Afghanistan, and Kabul slowly turning out to be a grave yard by the constant rocket attacks. Tariq's family decides to leave the city at their earliest, and the emotional farewell between Laila and Tariq ends up with them crossing all the boundaries and making love. After long negotiations, Laila's family too decides to leave Kabul, but as they are packing misfortune arrives in the form of a rocket which destroys the house, killing her parents and severely injuring Laila. Laila is then saved and taken in by Rasheed and Mariam. After recovering from her injuries, Laila discovers that she is pregnant with Tariq's child. The news of Tariq’s death reaches to the ears of Laila. She in orde to give a name to Tariq’s only memory with her agrees to marry Rasheed, who is eager to have a young and attractive second wife, and desires to fulfill his want of having a son with her. When Laila gives birth to a daughter, Aziza, Rasheed is displeased and suspicious, and he soon becomes abusive towards Laila also. Mariam and Laila eventually become confidants and best friends as they both are facing the cruelity of their husband. Laila plans to run away with her daughter and later on includes Marium in it after developing the strongest bond one could ever possess. They almost were about leave Kabul when they are caught at the bus station. Rasheed beats them mercilessly and deprives them of water for several days, almost killing Aziza. A few years later, Zalmai, Rasheed's son is born of Laila. By that time, the political situation grows worse in Afghanistan and the Taliban rises to power and certain imposition in the society comes into existence. Harsh rules on the Afghan population like prohibiting women from appearing in public without a male relative become prevalent. Drought draws the whole scenario to another level of torture and living conditions in Kabul become worse than ever. Rasheed's workshop burns down, and he is forced to take jobs just to earn a living for which he is ill-suited. He, due to scarcity sends Aziza to an orphanage, forcing Laila to undergo a number of beatings from the Taliban when caught alone on the streets in attempts to visit her. The story suffers a somersault when Tariq appears outside the house resulting the reunite of Laila and him. When Rasheed returns home from work, Zalmai, who is very fond of his father, informs him about the visitor. Rasheed starts to savagely beat Laila. He nearly strangles her to death, but Mariam intervenes and with all her guts, kill Rasheed with a shovel. Afterwards, Mariam confesses to killing Rasheed in order to draw attention away from Laila and Tariq, giving her loyalty proof towards their bond and is publicly executed as a punishment, while Laila and Tariq to escape any further troubles and complications leave for Pakistan with Aziza and Zalmai. After the fall of the Taliban, Laila and Tariq return to Afghanistan o the plea of Laila. They stop in the village where Mariam inhabited in her early days, and discover a package that Mariam's father left behind for her: a videotape of Pinocchio, a small sack of money and a letter. Laila reads the letter in curiousity and senses that Jalil regretted sending Mariam away. Laila and Tariq return to Kabul and use the money to fix up the orphanage which took care of Aziza in the bad times. Laila starts working there as a teacher. Later on, Laila is pregnant with her third child. If it was a boy, others had an opportunity of naming but if it was a girl, Laila has already named her Mariam.